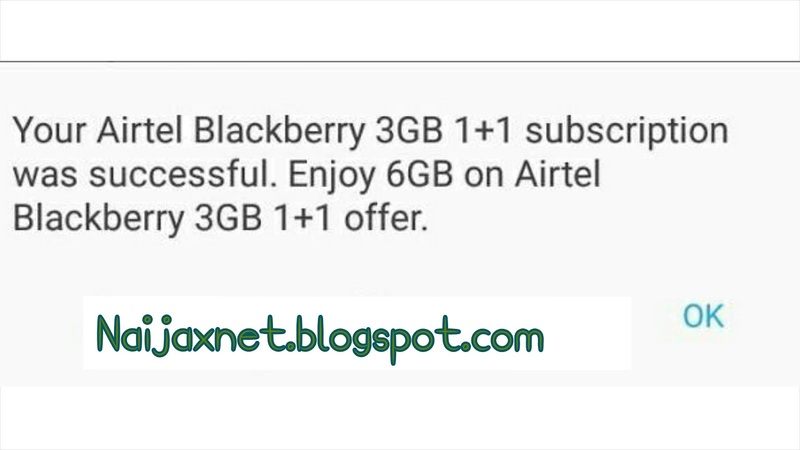 Airtel 6GB for N1500! Best and Cheapest Airtel Data Plan! 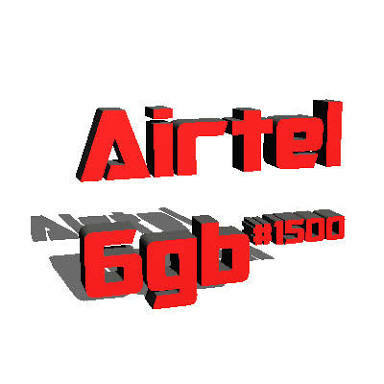 - Naijaxnet Naijaxnet: Airtel 6GB for N1500! Best and Cheapest Airtel Data Plan! 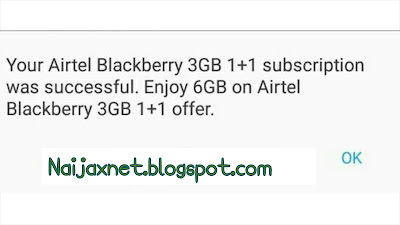 Home » Airtel Nigeria » Airtel 6GB for N1500! Best and Cheapest Airtel Data Plan! 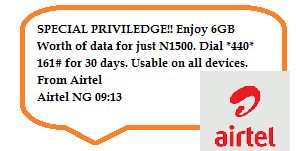 Airtel 6GB for N1500! Best and Cheapest Airtel Data Plan! We are still in the race! With this latest Airtel 6GB for N1,500 you can browse and download without looking back! Although, it is cheap but it also works for Blackberry Phones! 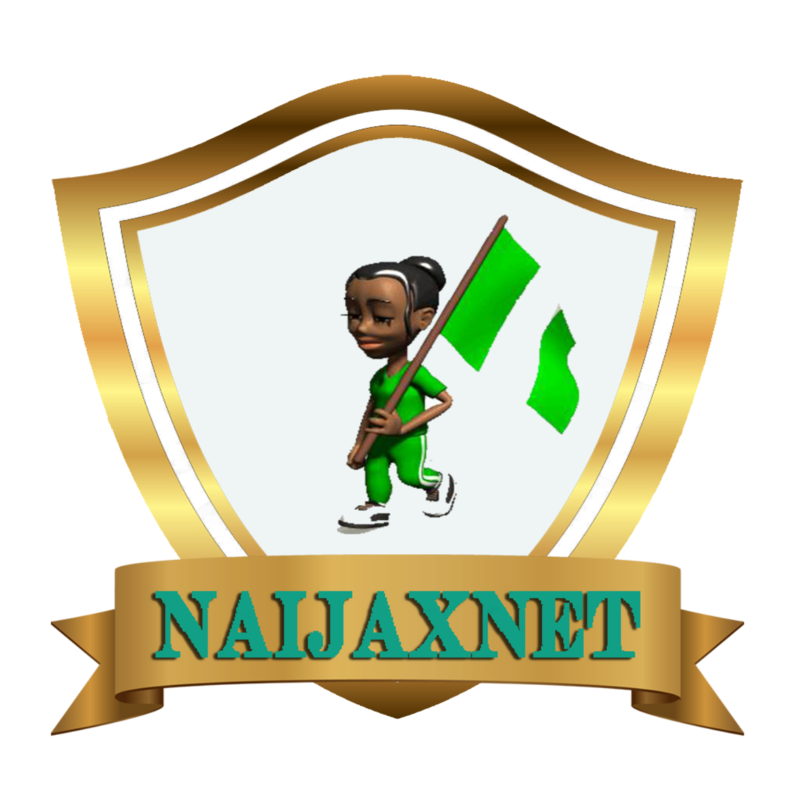 Are you using Android device, PC, iPhone, iPad, Blackberry device in Nigeria? Then this new Airtel Data Bundle Plan will really make your day and month amazing! Even after subscribing to other Airtel plans, this Airtel is one of many! This is the message, “Special Privileged!! 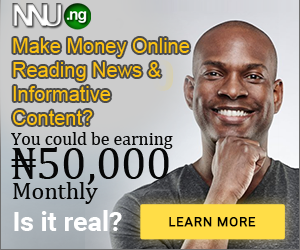 Enjoy 6GB worth of data for just N1500. Dial *440*161# for 30 days. Usable on all devices. From Airtel Nigeria” So you can see that it is official from Airtel, all you have to do is to recharge your sim with N1200 and not N1500 then dial the code, you are good to go! The message is clear! You don’t need any tweak or so. You don’t need to download any Psiphon of a stuff, you don’t have to change your IMEI to get this bundle. Just recharge your Airtel Sim with N1500 and dial *440*161# that is all. 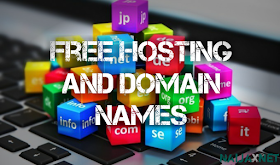 And remember that it is valid for 30 days only! 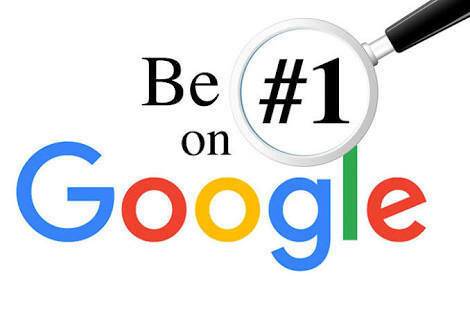 And after subscribing to the data bundle, you can check your data balance at any time, simply by dialing *123*10# or *140# – And also, it works on Sim Card, it doesn’t select sim card, it doesn’t make use of ONLY old or new sim but it is valid for all sim card.